If you’re a roleplaying geek hankering for the days of broadswords, evil sorcerers and +2 damage, no doubt you’ve stumbled across the range of video slots from IGT based on the classic Dungeons & Dragons games. The fantasy-themed Dungeons & Dragons: Crystal Caverns in particular was a great example of sword ‘n’ sorcery-fueled action, and featured IGT's great exclusive feature, Tumbling Reels. By simply getting a winning combination on the reels the winning symbols will disappear, leaving the remaining symbols to tumble down and take their place. What that means is that a winning combo can be followed by even more winning combos! 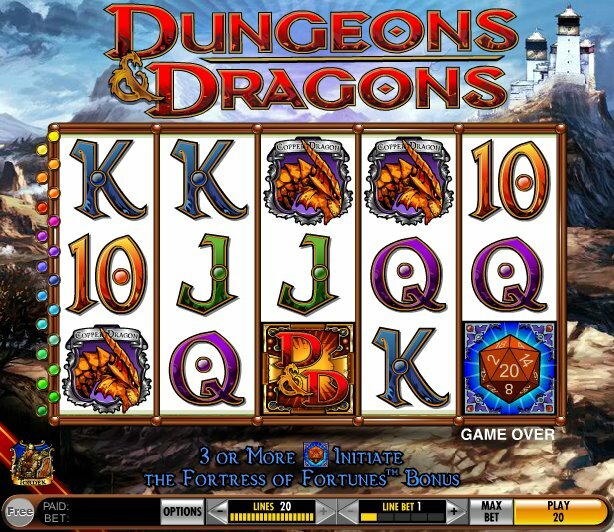 Tumbling Reels is always a popular feature included in slots and it is great to see the feature making an appearance in the Dungeons and Dragons slots. In this 5 reel, 20 payline game, there are no such reel thrills – sadly – but there is an interesting bonus feature or two to be triggered later on. Before the game starts, you’ll get to choose a character to ‘play’ with – Tordek, Raelyn or Varick, each wielding unfeasibly large broadswords and shields. Elsewhere on the reels there’s a castle, dragon, and some suitably mystic-looking 10-through-Ace poker symbols. The crystal ball symbol acts Wild and substitutes for all symbols in the game other than the Scatter. There’s a sweet jackpot of 12,500 coins if you manage to hit five Wilds across the reels. The 20-sided dice was the essential tool for all D&D-playing geeks, and the dice forms the centerpiece symbol here too. Three or more dice symbols trigger the main bonus game which will give you free spins and multipliers – anything from 5 spins with a 1x multiplier to 10 spins and a 3x multiplier depending on your Scatter hits. 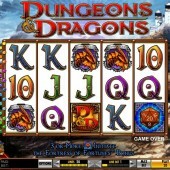 However, you can increase your free spins and multiplier by playing the Fortress Dungeon Exploration Feature first. Fight monsters and discover treasure over five levels of the Dungeon and for every monster you kill you’ll receive more spins. Find the gold chalice and you’ll win spins, a treasure chest will reveal multipliers and a magic weapon will give your character more strength points in your fights against the bad guys. Finally, kill the monsters to progress through the various levels. Bring down the ogre in the final level and you’ll get a tasty 4x multiplier on your wins. Once you’ve fought your way through the arcade rounds, head to the free spins round and watch your winnings roll in. Spins can be re-triggered up to 180, and the multiplier up to 20x, so it’s a great bonus to hit. If Fortress of Fortunes has got you in the mood, check out IGT's great fantasy slots offering, Dungeons and Dragons - Crystal Caverns, as previously mentioned - where you get to choose your own character to journey through the game - or try your hand at the most recent release of Dungeons and Dragons - Treasures of Icewind Dale.